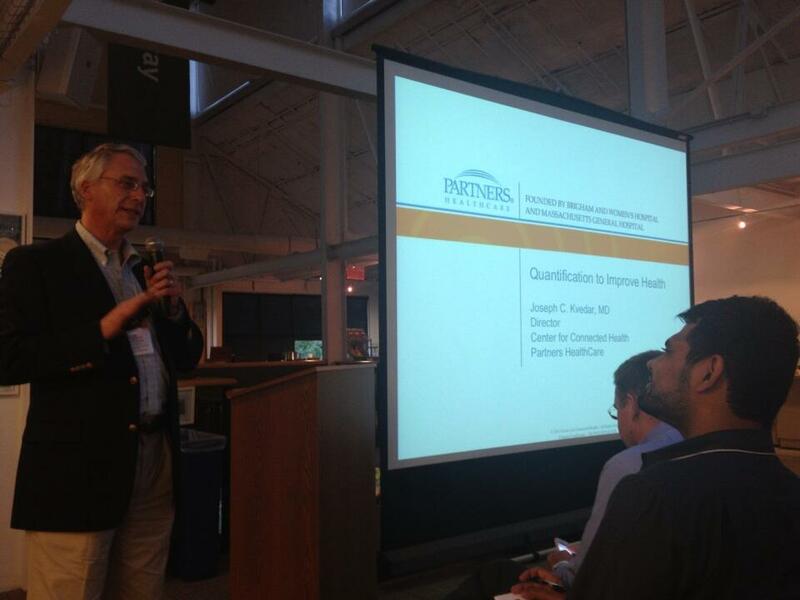 Last week the Boston Quantified Self group hosted a talk titled The Quantified Patient. The talk was promoted as a “unique event will feature forward thinking entrepreneurs, researchers and companies who are redefining healthcare through the use of self-tracking systems, behavior change psychology, and human analytics.” I discovered this while seeing several tweets come from the event through the #quantifiedself hashtag. It prompted me to try and get more details around the discussion and in doing so I’ve assembled a few of the tweets below and here’s a post from someone who attended. I find the shifts coming in healthcare to be very interesting and as we continue finding ways to collect personal health data we become more empowered to positively impact our lives. I also see a huge shift as we move towards being pro-active about our health as opposed to the currently failing reactive approach that seems to be the norm in healthcare. It’s going to be slow transition with many bumps as doctors and other healthcare providers find ways to incorporate how patients are going to be armed with data and knowledge over the coming years. I think it will be challenging as doctors and providers are going to have to find ways to let us incorporate new data and services to augment the knowledge they have about us, not to mention insurance implications. In any case I’m excited by the aspects of being able to have more control over my healthcare in the future. Here are the tweets I found interesting from attendees.